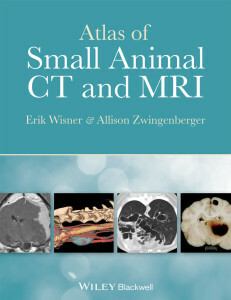 For those of you interested in marine mammals, here’s a link toÂ www.marinemammalradiology.com. The site was created by the Marine Mammal Center, the Shedd Aquarium, and the Alaska Sealife Center. There are normal radiographs, a CT and an MRI scan of the California Sea Lion available to look at, as well as a few example cases. It’s a great resource! Aquatic animal medicine is an extremely exciting and fast expanding area of veterinary medicine. The goal of www.marinemammalradiology.com is to provide a reference for the normal radiographic, computed tomographic and magnetic resonance anatomy of marine mammal species commonly found in captive and rehabilitation settings. Furthermore we hope to disseminate information on the radiologic diagnosis of disease as such cases become available for publication. The website is a â€˜work in progressâ€™ with many institutes contributing data. In addition, institutes contribute to the website by offering advice on the diagnostic imaging information needed by the marine mammal community. We hope that you will enjoy the site!